These unique and exciting days are all carried out on a very basic level with safety being at the forefront of every activity. Riding experience is an advantage for certain activities but is not essential. All training is done in an easy and comfortable step by step fashion to suit all requirements. No rider is ever pushed beyond his/her limits. A reasonable level of fitness is required for the days activities. Do not be put off or scared – it is not as hard as it looks! 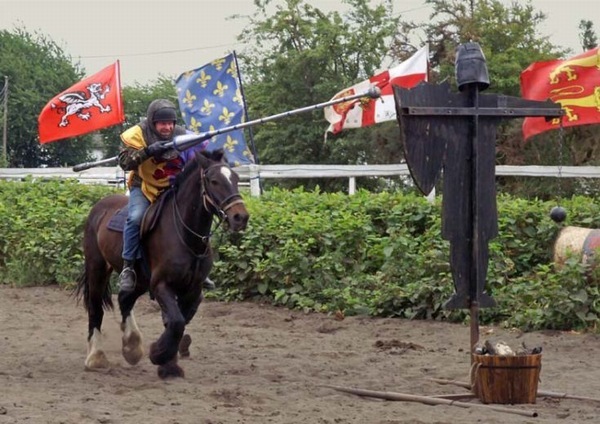 We have the attitude of anyone can “have a go” at learning to joust and we aim to make it as fun and enjoyable as possible, even if you have never sat on a horse before – Jousting demands a different type of equestrian skill and our horses can accommodate any standard of horsemanship! Just bring the bravery and let the adrenaline take over! 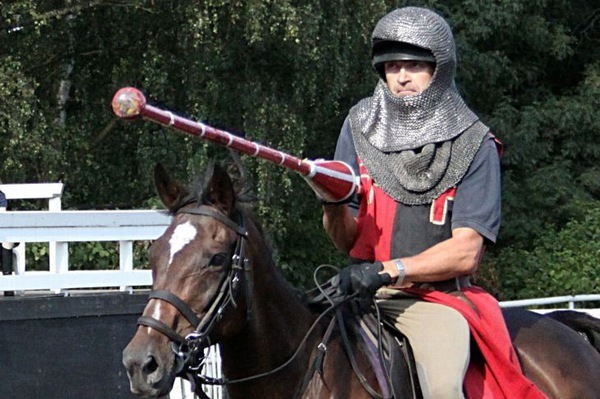 This fascinating experience package consists of teaching you the basic jousting skills needed to strike a quintaine (target that spins around on impact) and authentic mounted games such as collecting rings off the tilt (wooden fence to divide the two competing knights) with a lance and a pig sticking competition. 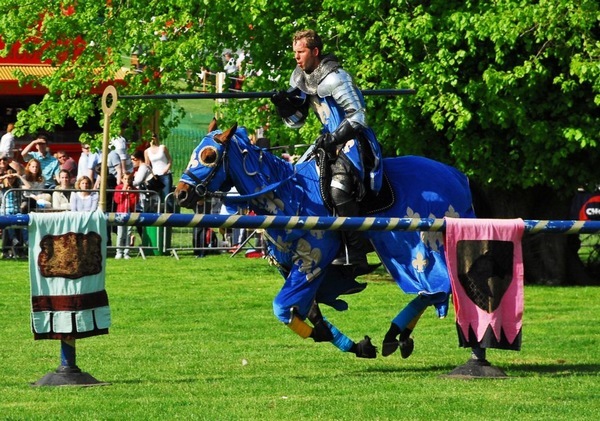 Safely let out your aggression on a man shaped target the 'Quintaine' – practice for your encounter with the Black Knight. 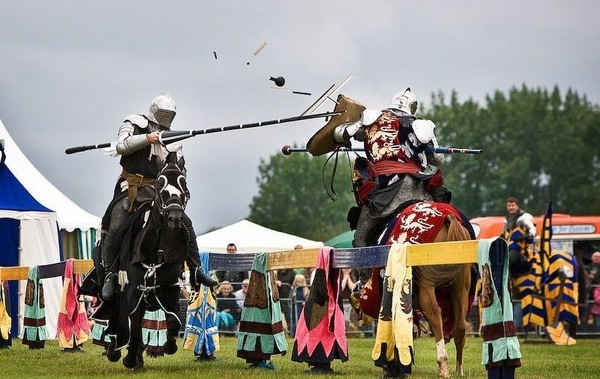 You will have the chance to dress up in full medieval costume, have your own title and coat of arms for the day and learn basic choreographed sword/staff fight, you can even try to be Warwickshire’s own Robin Hood and split the arrow! 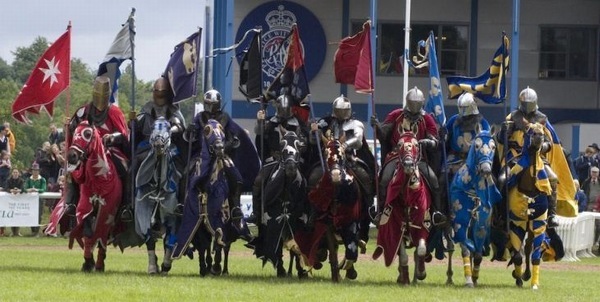 Your day will end with a chance to unseat the mischievous Black Knight and gain your Knighthood. 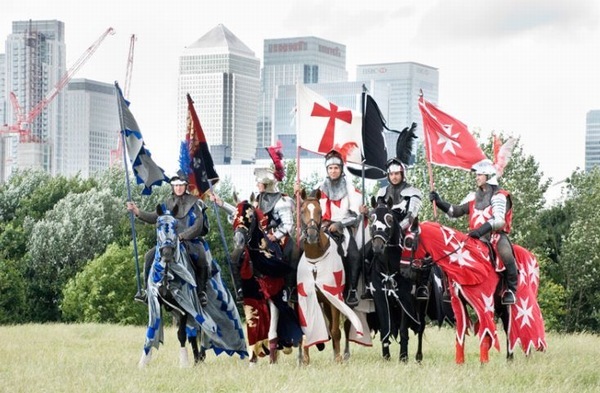 The Knights of Middle England has received such recognition within the Jousting fraternity that we have secured contracts with companies and suppliers within the Events Industry. 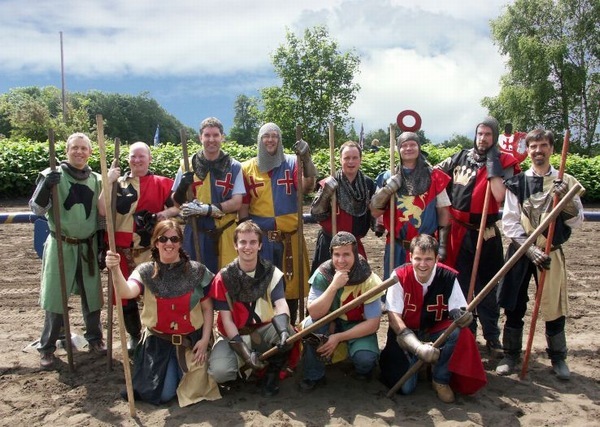 We offer Corporate and Team Building Days at our premises in Warwick or we can travel to your location if suitable. 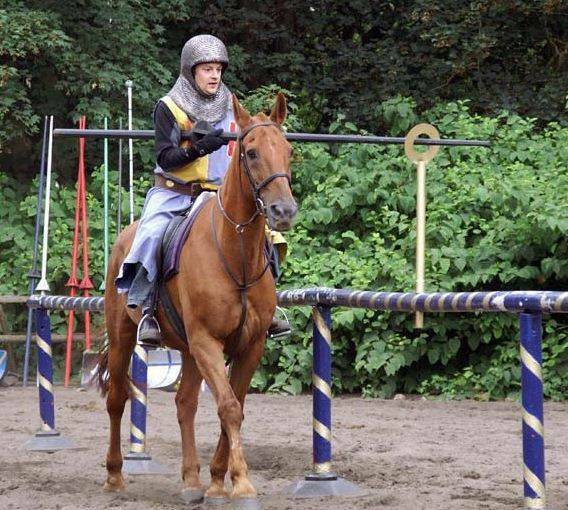 Our Corporate days are based around the Unique Medieval Activity Days, as above . 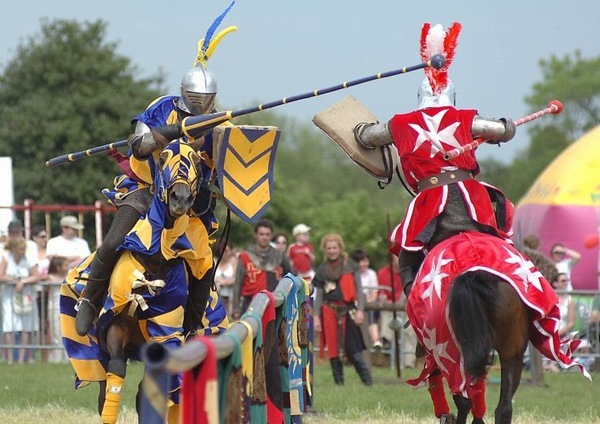 Learn the antics of Old England with plenty of team spirit and challenging tasks to be completed in teams which will ultimately end in a final quest at the Gauntlet for the title of ‘Sir Lancelot of the day’. We can provide accommodation if the event is to be longer than one day at our premises and the pub located next door provides a well deserved ale and food at the end of your unique medieval day. Please contact us with your requirements and we shall contact you back with package ideas. Recent companies who have joined us on our Corporate days include, Microsoft, IBM, Avenir Telecom and 02.